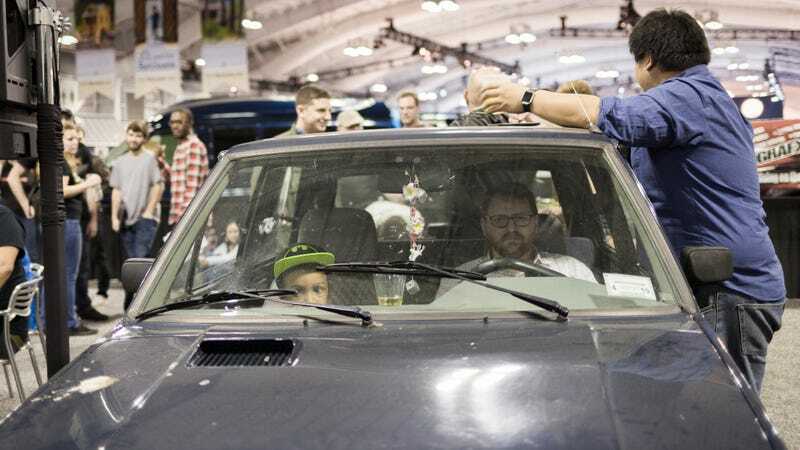 The Jalopnik Trivia night, held at the Jacob Javits Center last weekend at the New York Auto Show, was a roaring success. Because there was fun and laughter and car chatter. All of the best things to make up an evening! If you don’t believe me, then check out this video of the proceedings and see what you missed if you didn’t come. We had readers, writers, a Yugo and members of the finest automotive celebrities New York City had to offer. Nothing could be better.